A simple hand held anemometer. Measures in MPH, KMH, M/S, Knots. 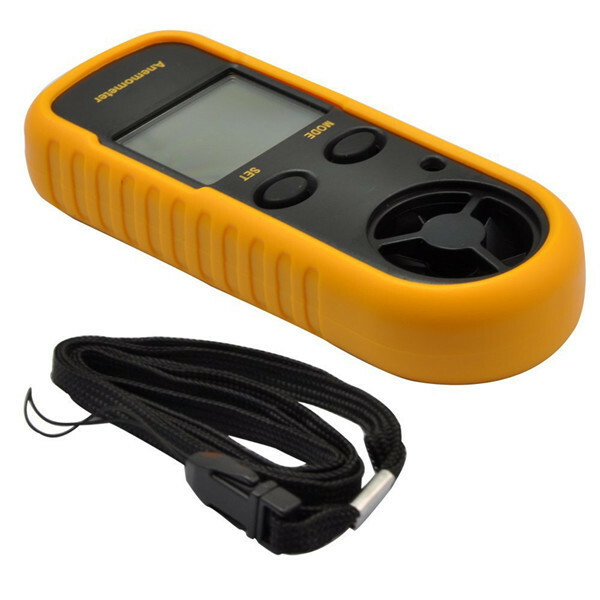 Measure air velocity and air temperature accurately. Comes with strap making the unit easy to carry. LED back light design for operation under poor lighting. Current / max / average wind speed reading. Powered by a built-in 3V CR2032 battery. Small size, lightweight and portable.